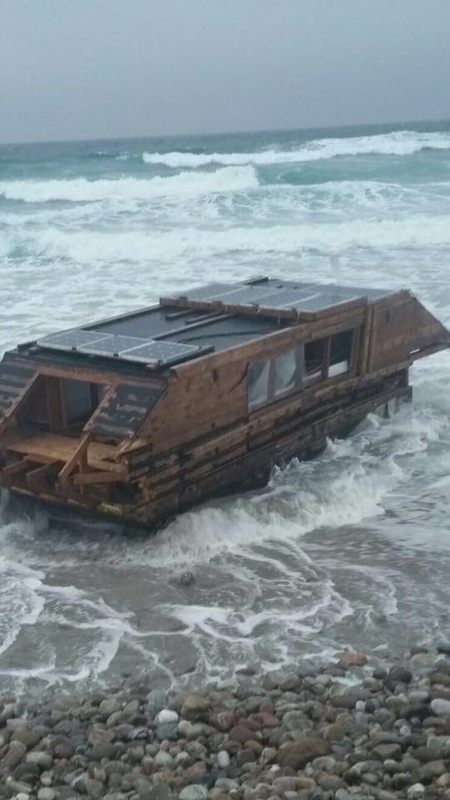 Hundreds of people have visited Drum Beach in north Co Mayo, where a Canadian houseboat washed ashore over the weekend. 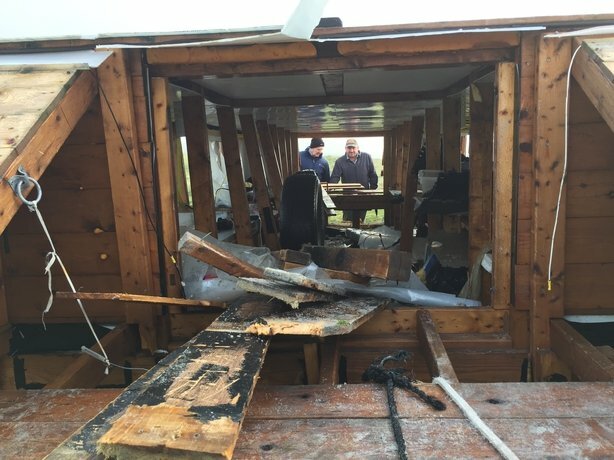 The structure, which appears to have been built by a man called Rick Small, was taken from the sea by Mayo County Council this morning. It has been placed a short distance from the shoreline. 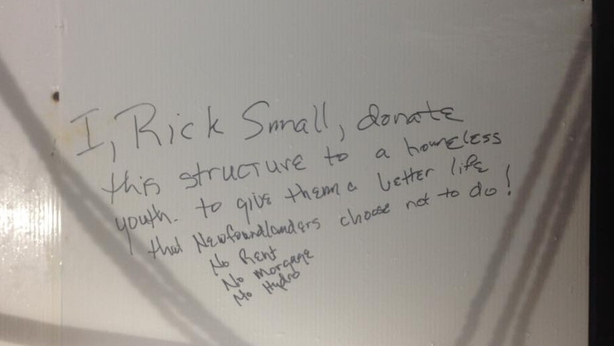 An inscription on one of the walls inside the houseboat indicates that Mr Small wanted it to be used by a homeless person so they could live rent free and without the pressure of energy bills. The vessel is fitted with a number of solar panels and is painted with tar to weatherproof the wooden exterior. 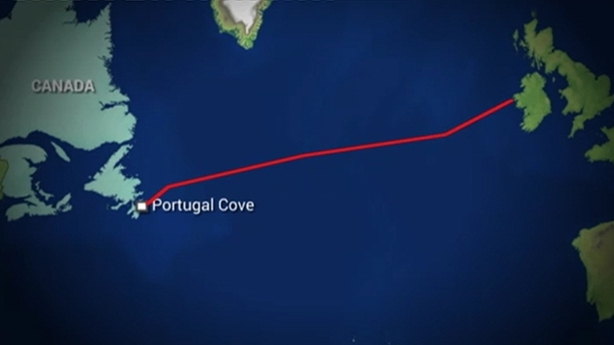 It is thought to have been put to sea in Newfoundland, Canada sometime in September. Given the journey it has travelled, locals have expressed surprise that it is still intact and in relatively good condition. 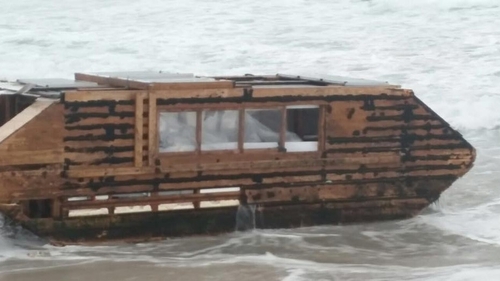 The boat was made with driftwood and has sheets of polystyrene in its hull to assist flotation. It is between eight and 10 metres long and around two and a half metres tall. Customs officials visited the site where the boat lies this evening to inspect the craft. A final decision on what will happen to the structure rests with Mayo County Council.